After a long period of research (and online communication) our Redrawing-team finally met the second time. 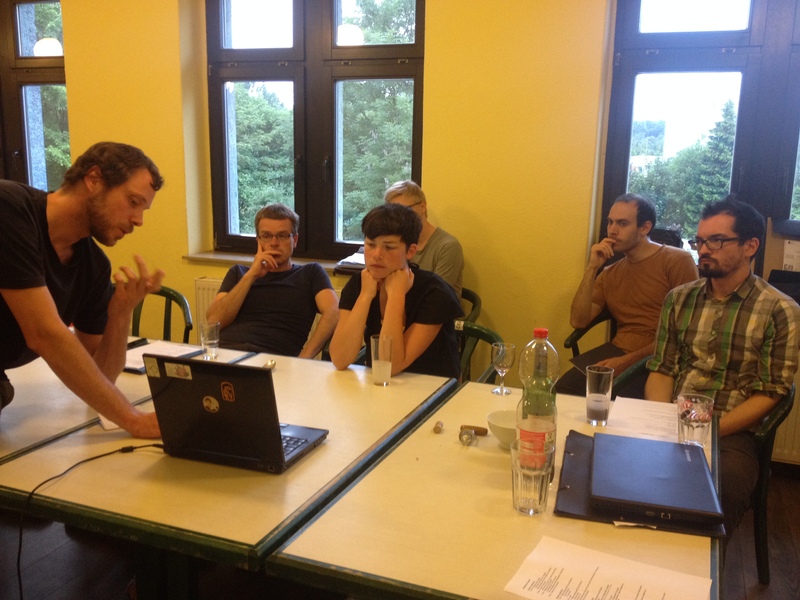 The five day workshop took place at the alternative youth center Chemnitz (AJZ Chemnitz). David Schilter from our Latvian partner organization kuš! also joined the meeting. On Sunday we arrived at the AJZ Chemnitz, where we were welcomed warmly. After dinner the artists presented their storyboards to show their work status. Afterwards Ole Frahm and Sascha Hommer got into personal conversations with them. It was great to recognize the development of the stories. A lot of questions and problems we discussed in Pančevo in early April were solved, but some new problems evolved. 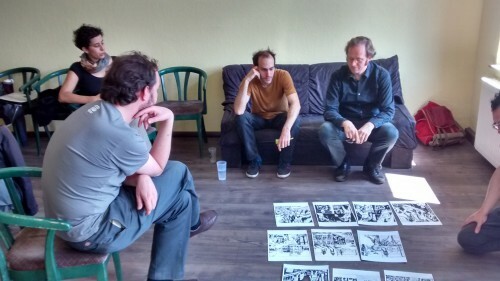 Beside the personal dialogues, our artists had the chance to keep on working and discussing. For this the garden of the AJZ was the perfect place. Here we also got provided with daily tasty meals prepared by the members of the AJZ. 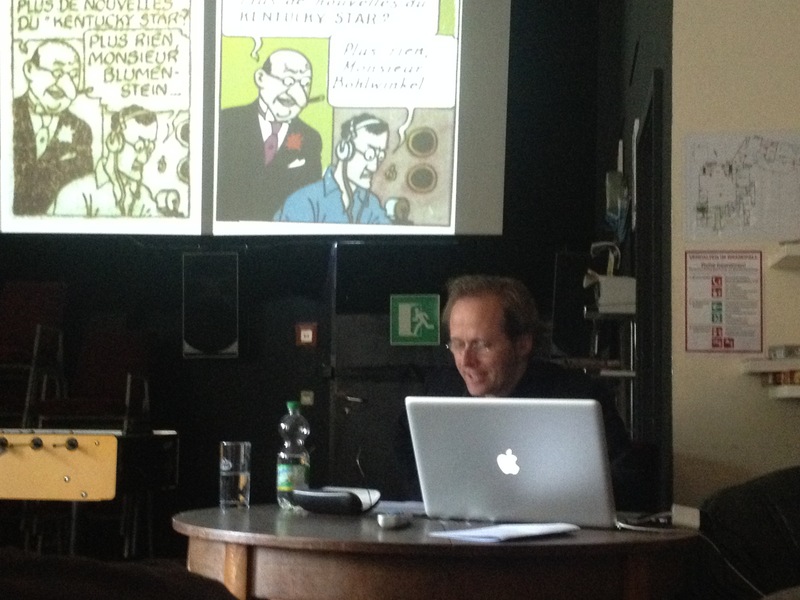 On Monday, 29th of June, Ole Frahm held a public lecture at the AJZ Chemnitz about „Anti-Semitic caricatures in comics“, which was followed by a very interesting public discussion with the audience. 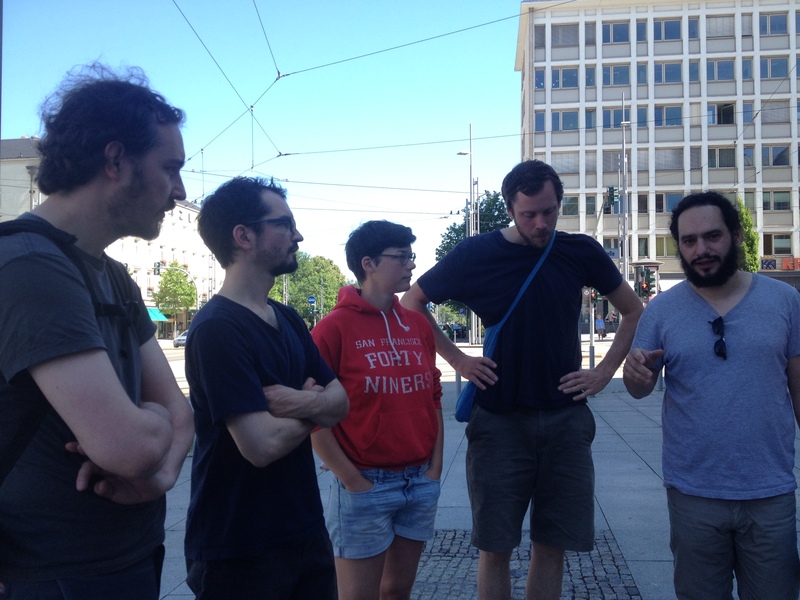 On Wednesday we went on a bike tour through the city to learn more about the National Socialist history of Chemnitz. The tour was guided by Enrico, a member of the NGO VVN-BdA. Enrico took us through the city and showed us places of National Socialist terror and persecution. We learned that Chemnitz was a socialistic and democratic centre in central Germany and tried to fight against the coming into power of the National Socialists. On our last workshop day we invited pupils from the André Gymnasium in Chemnitz. We presented our project to them and engaged them to draw their own comics about victims of National-Socialism. In their case about the victims, who died at the killing center Pirna-Sonnenstein, a place where thousands of disabled people were killed between 1940 and 1942. After an intensive workshop week, we are looking forward to the final comics of our five artists, the forthcoming kuš!-publication and the exhibitions in Berlin (6th of November 2015) and Chemnitz (January 2016).